Boston P.I. Spenser returns-heading west to the rich man's haven of Potshot, Arizona, a former mining town reborn as a paradise for Los Angeles millionaires looking for a place to escape the pressures of their high-flying lifestyles. 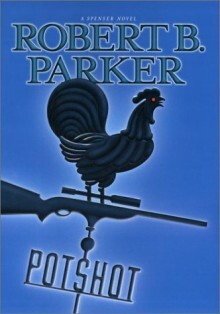 Potshot overcame its rough reputation as a rendezvous for old-time mountain men who lived off the land, thanks to a healthy infusion of new blood and even newer money. But when this western idyll is threatened by a local gang-a twenty-first-century posse of desert rats, misfits, drunks, and scavengers-the local police seem powerless. Led by a charismatic individual known only as The Preacher, this motley band of thieves selectively exploits the town, nurturing it as a source of wealth while systematically robbing the residents blind. Enter Spenser, called in to put the group out of business and establish a police force who can protect the town. Calling on his own cadre of cohorts, including Vinnie Morris, Bobby Horse, Chollo Bernard J. Fortunato, as well as the redoubtable Hawk, Spenser must find a way to beat the gang at their own dangerous game.